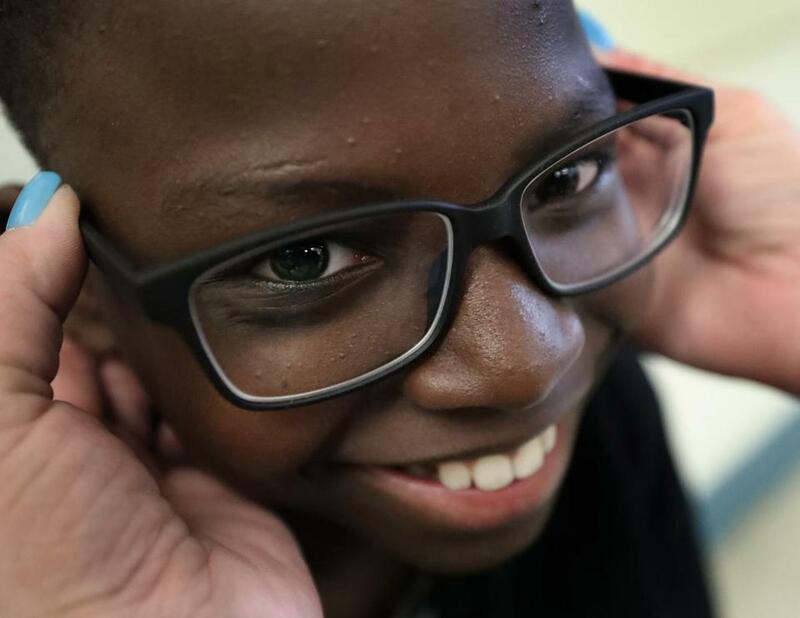 Kelly Noisetle was one of about 40 students at Washington Irving Middle School in Roslindale who were fitted for free eyeglasses or had eye screenings on Tuesday as part of Envision Boston Giving, a program run by local optometrist Dr. Tricia Rose. 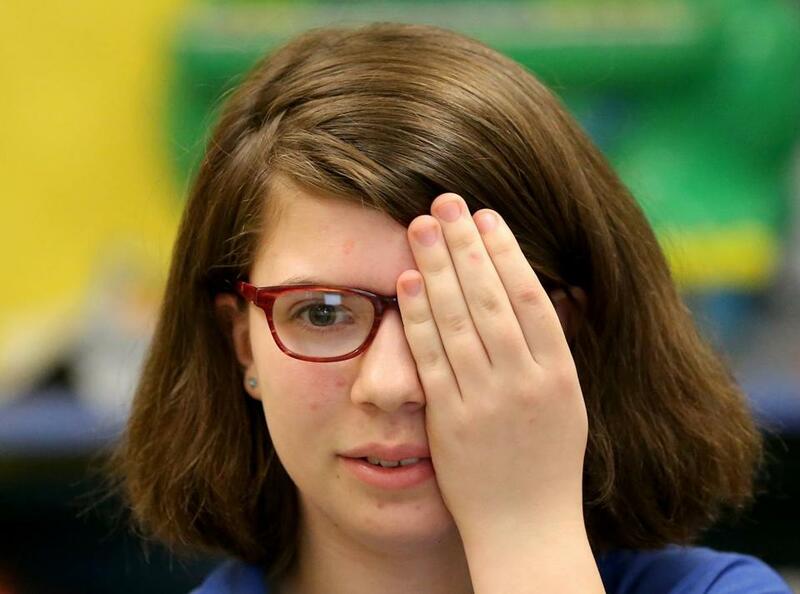 Kelly Noisetle was one of about 40 students at Washington Irving Middle School in Roslindale who were fitted for free eyeglasses or had eye screenings on Tuesday as part of Envision Boston Giving, a program run by local optometrist Dr. Tricia Rose. 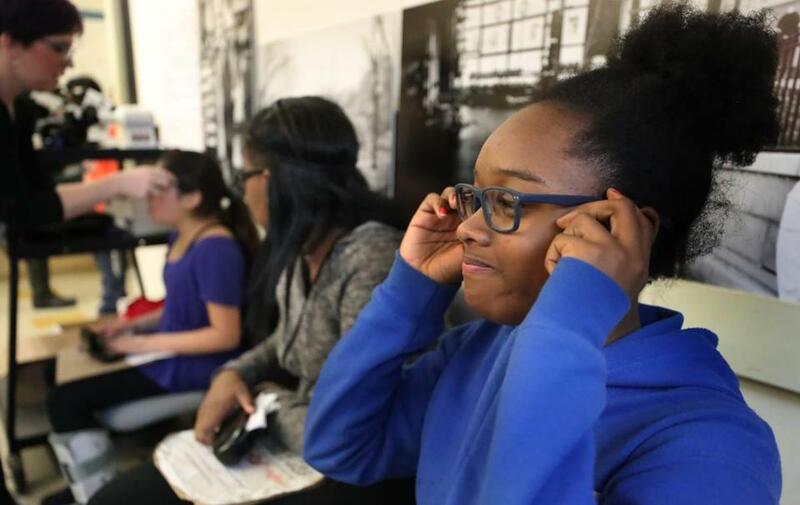 The program offers free exams, eyewear, and glasses repairs to public school students. There’s a new vision at Washington Irving Middle School in Roslindale, where students are getting free eye exams and glasses from a local optometrist. Dr. Tricia Rose on Tuesday fitted about 30 students with eyeglasses, and 10 more were given eye exams, as part Envision Boston Giving, a philanthropic program run by her eye practice. 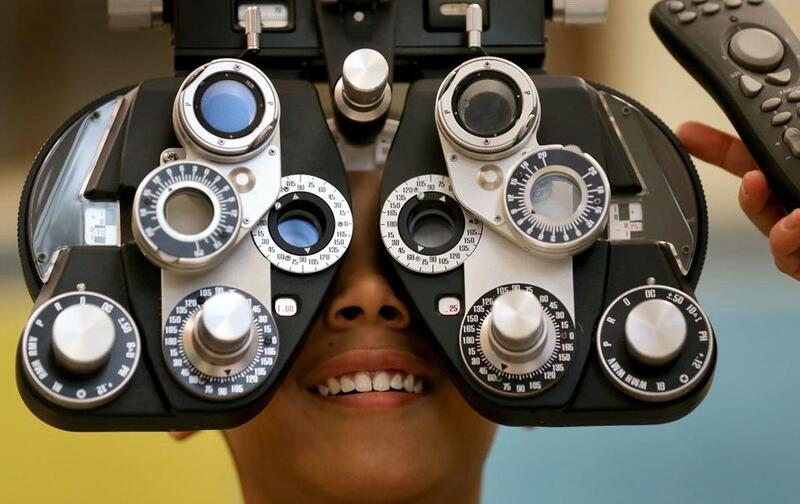 “We knew there was a need and that we could bring this service to the schools,” said Rose, owner of Envision Optometry in the Financial District. Since late April, Rose has visited the school once a week to conduct the screenings. She started the program to make sure children of busy parents don’t miss out on going to the eye doctor. Students have been very receptive, she said. “They’re the ones pushing their family to have the screenings done,” Rose said. Sixth-grade student Emely Castillo went through an eye examination, which she said was more fun than her math class. 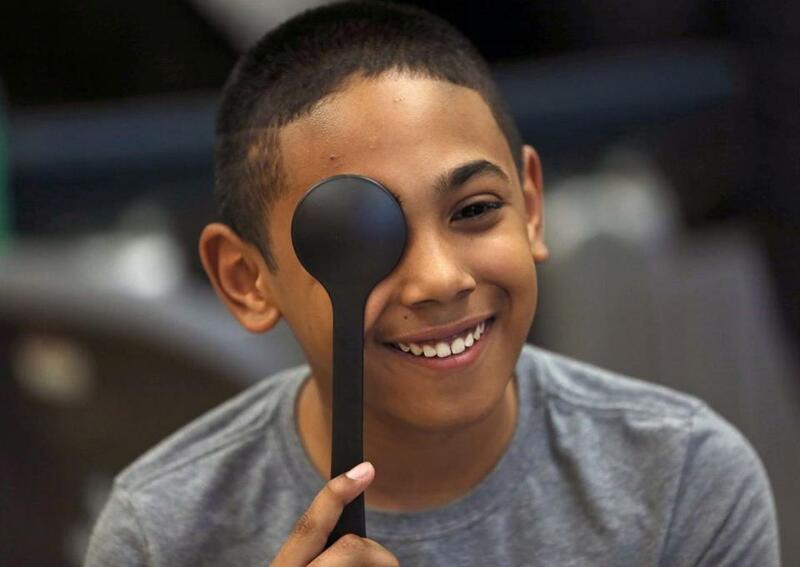 Sixth-grader Emanuel Forero got his eyes tested. She hopes eventually to screen all 340 students enrolled at Washington Irving, which was selected by Boston school officials to launch the program. Rose would love to offer screenings in other public schools. “We’d love to see a thousand [screenings] this year is we could,” she said. A Boston schools official said Envision Boston Giving is a good example of a local business supporting public schools. “We are very fortunate to have Dr. Rose and her network of friends and clients investing in our schools,” said Makeeba McCreary, managing director and senior advisor of external affairs for Boston Public Schools. In addition to free screenings and glasses, Rose said that she will also offer replacements to the kids if the glasses are lost or broken. Emanuel Forero, smiling from behind the device for checking vision, also participated. Joshua Jean Charles was all smiles after getting his glasses.